Flu season is just around the corner, and Texas physicians want to remind everyone that your best defense is getting vaccinated. The following TMA infographic illustrates top “flu facts” everyone should know, including the dangers of influenza (it hospitalizes 200,000 people each year), who should get vaccinated (nearly everyone), and what types of vaccines are available (not all include needles!). 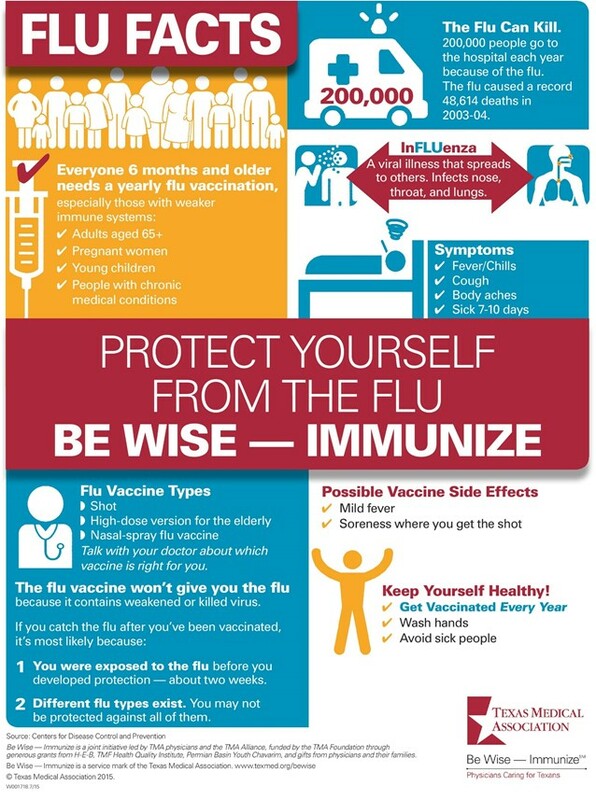 The graphic also dispels the belief that a flu shot can give you the flu. See a Spanish language version of this infographic.